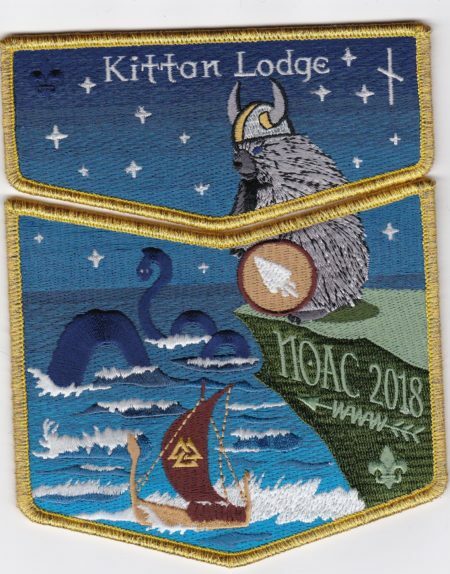 Kintecoying Lodge #4 issued three two-piece sets for the 2018 NOAC. 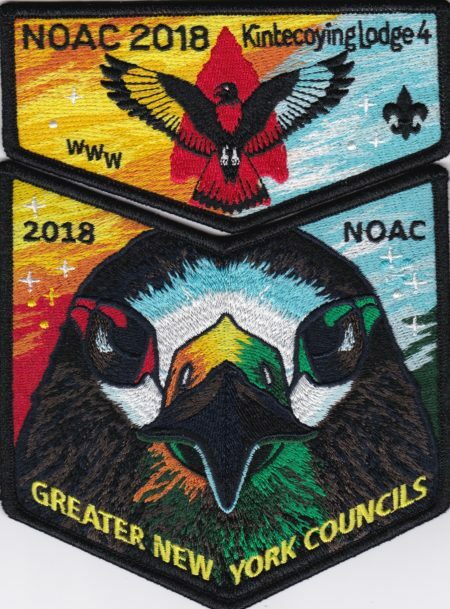 They shared a common design, but each had a different color scheme. 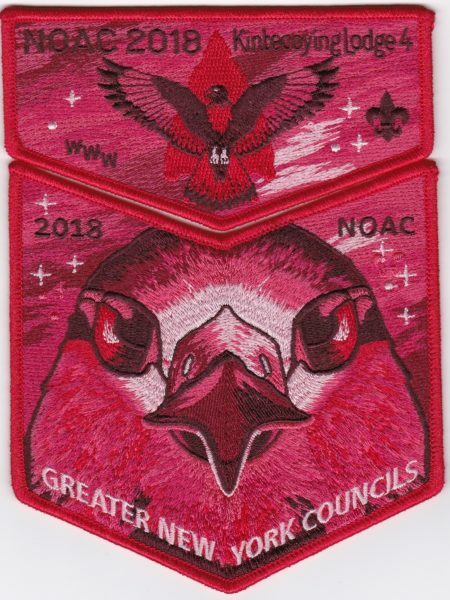 Each NOAC going back a couple of decades, Section NE-3A and its predecessors have issued a set of flaps including one for each member lodge. Currently members of each lodge could order individual flaps from their home lodge and sets of the 5 lodges which make up the section. So their are different numbers made of each flap. 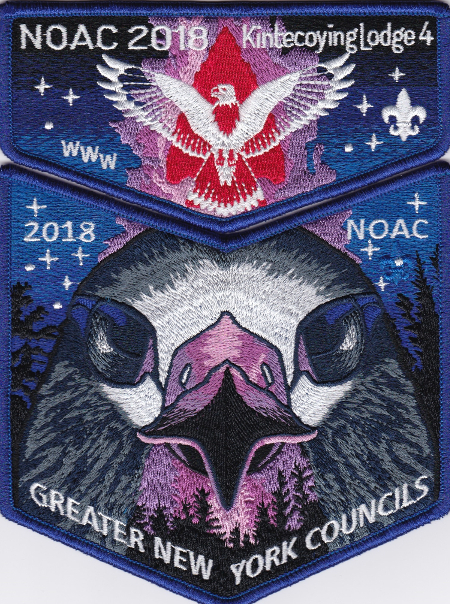 For NOAC 2018, each flap shares a common design with the individual lodge name and a different border color for each flap. Ashokwahta Lodge #339 has an red border. 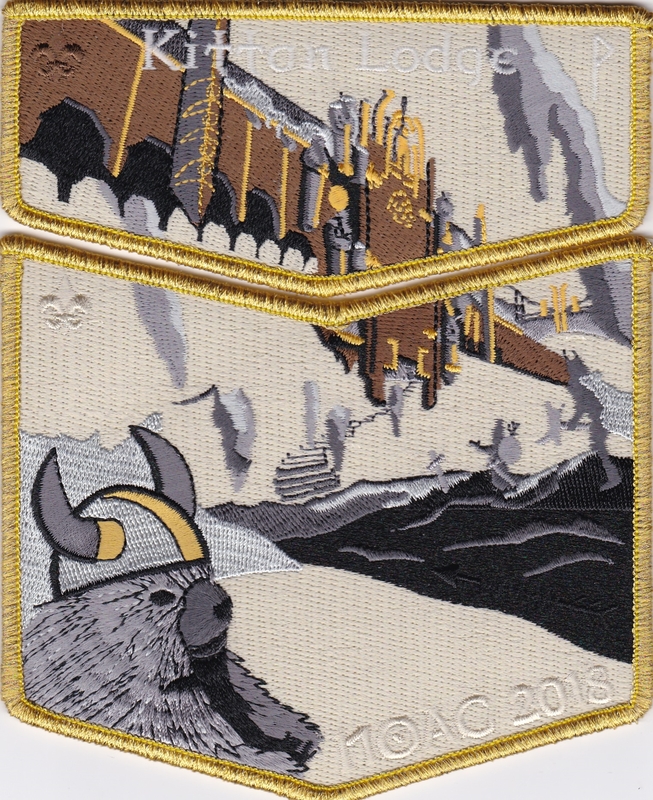 In addition to three 2-piece black bordered sets, Kittan Lodge #364 issued three Gold Mylar Bordered 2-piece sets for the 2018 NOAC. They all share a Viking theme, with the Lodge totem wearing a Viking helmet, If my Norse mythology is correct, the second set features Midgard Serpent. There were reportedly 100 of these GMY Bordered sets issued. In addition to three 2-piece black bordered sets, Kittan Lodge #364 issued three Gold Mylar Bordered 2-piece sets for the 2018 NOAC. 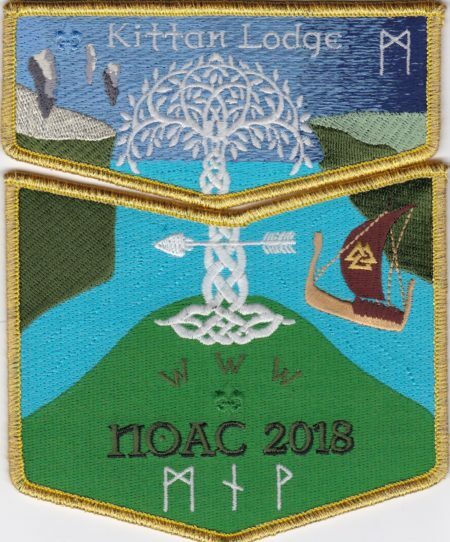 They all share a Viking theme, with the Lodge totem wearing a Viking helmet, If my Norse mythology is correct, the first set features Yggdrasil Tree of Life. There were reportedly 100 of these GMY Bordered sets issued.